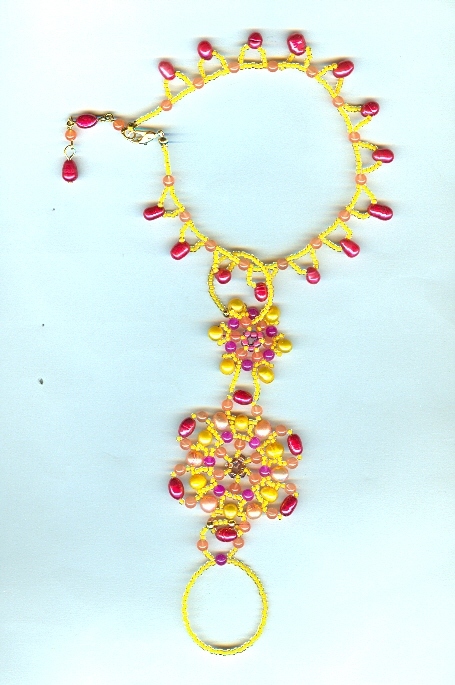 Be embraced by warm Indian spices when wearing this exotic barefoot sandal. This over-the-top barefoot sandal converts to an anklett simply by removing the footpiece. 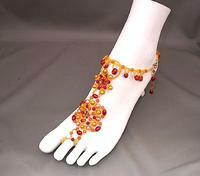 The barefoot sandal is made of chili red, curry gold, and peach colored freshwater pearls, fuchsia and cantaloupe dyed quartz, and saffron seed beads. 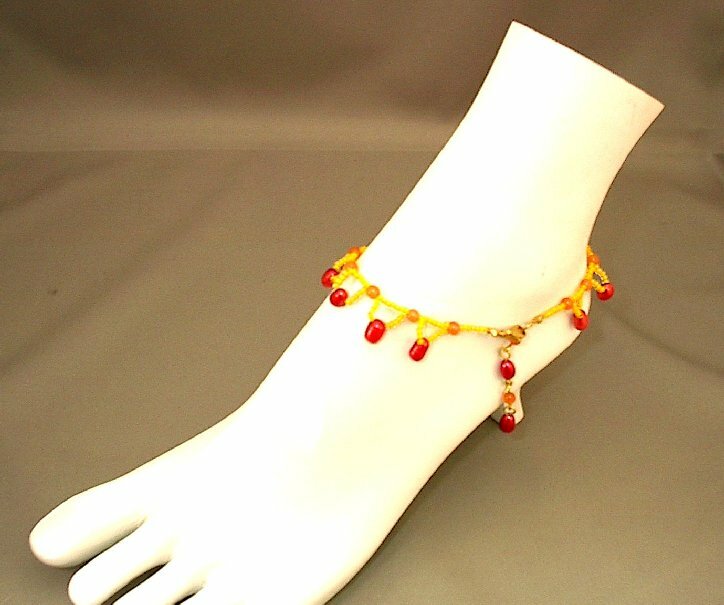 The gold plated lobster claw clasp and extender give the anklet a working length of from 10" to 11-1/2". Add a little spice to your life with an anklet and/or barefoot sandal from SPARKLE PLENTY.